American Industrial Company is a leading provider of customized sheet metal solutions. From single parts to total industrial ventilation systems, we are capable of producing the most cost effective, reliable options for many industrial applications. Family owned and operated, we understand the hard work you put into your business and we want to help you succeed. Give us a call today! American Fabricators is a precision sheet metal fabrication, laser cutting, CNC punching, press brake forming, MIG and TIG welding company. Since our founding in 1984, we have been providing high-quality products and services to many industries and applications. We provide high-quality products and services to several industries and applications. We are also ISO 9001:2015 certified. Call today! 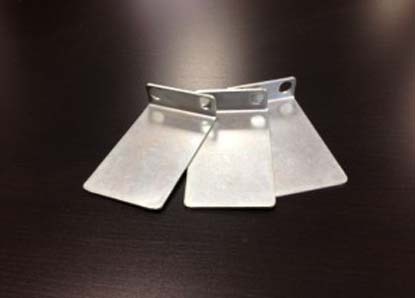 Sheet metal parts are manufactured using an automated process in a fabrication plant where the parts are cut to match exact design specifications. 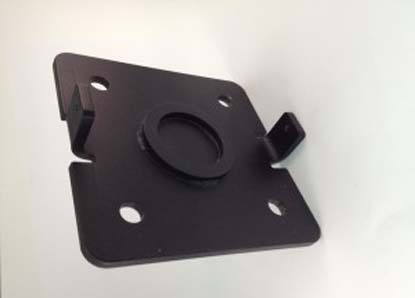 After being cut out of sheet metal, the parts are bent and assembled for applications in construction, equipment assembly, technology, the automotive industry and more. Parts are cut out of metal by sawing, shearing or chiseling either by hand or more commonly with the aid of a specialized machine in a fabrication shop. If a sheet metal part is designed to function with two pieces joined together, the pieces are joined by welding, the use of adhesives, rivets or threaded fasteners. Depending on the purpose of the parts being manufactured, engineers will determine which methods are used to ensure that the part will be as durable as possible. These parts are manufactured with enough precision to make them interchangeable, so that repairs and replacements can easily be made to whatever piece of equipment or structure the new parts are being used for. Sheet metal parts offer the advantage of being both lightweight and durable. 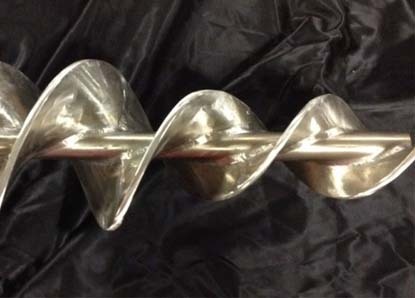 They are flexible enough that they can be pressed and bent into shape by hydraulic and brake presses during the manufacturing process, but strong enough that they will not break during use unless an unusually high level of force is applied to them. 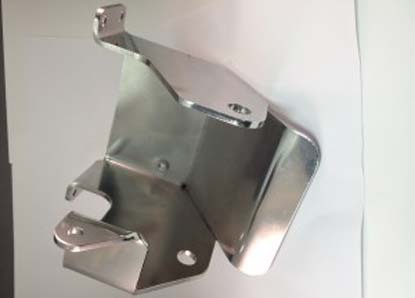 Sheet metal parts are utilized in the many common consumer goods such as computers, cars, cabinets and air ventilation systems. 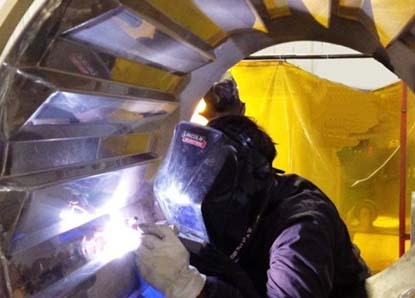 Typically, vendors approach a sheet metal fabrication shop with an explanation of the parts that they need to have manufactured for their product. Engineers from either the vendor of the fabrication company will then design a solution that meets the needs of the project. These engineering specifications are then put into use at the sheet metal fabrication site as a process is put in place to effectively create the parts. Along the way, quality control processes maintain a high standard so that all parts are being produced with identical specifications and quality that meets or exceeds the level expected by the vendor. 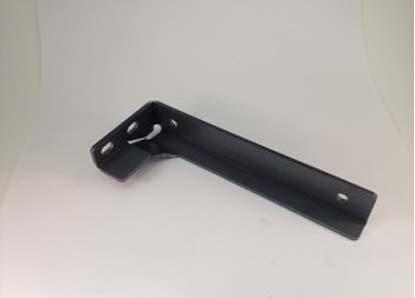 These parts are put to use for a variety of important applications, so it is critical that no corners are cut during the manufacturing process.